…wait a minute, it wasn’t the Academy who nominated me, it was real people, fellow bloggists, high-minded genius creative masterminds with highly discriminating literary and poetic palates. I’m honored to have a seat at your tables. 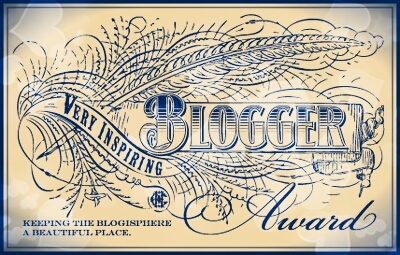 Andre at Catalyst said some nice things about me, and while he’s clearly misguided in nominating me for a Very Inspiring Blog Award, I’ll take it because it’s an honor to be included among his other nominees and, let’s face it, I’ll all about the bling. 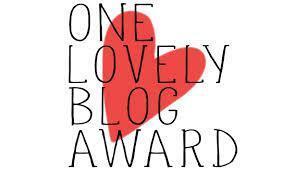 Tigerwoman over at On The Prowl at 40 hit me with the One Lovely Blog Award, another flattering inclusion with a lot of interesting writerly folks. Watch out for the Tigerwoman, however –her posts are apt to make your neck sweat and your pants fit funny, clearly a bold and self-assured woman sharing the best, and occasionally the less-than-best of her exploits. Hear her roar–unless you’re younger than 18. 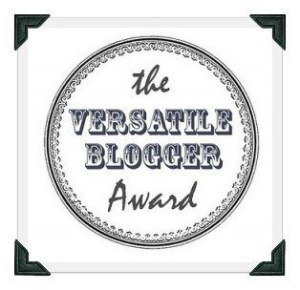 My first award and finest blogging distinction was this nomination from Part Time Monster for The Versatile Blogger Award because, while Old Road Apples was conceived as a poetry blog it very quickly degenerated into…this…a mish-mash of whatever old road apples I can get my paws on, thrown against the wall to see what sticks. I didn’t know what to make of my first award, but I was honored, and as I’ve since realized, the best part of blog awards isn’ the fame, or the wealth, the acclaim or the ceaseless admiration of both friends and strangers (although those VIP rooms at the airport are awesome enough)–but rather the other bloggists you discover among your fellow nominees. So, thanks to the Part Time Monster–I humbly accept.